This one in celebration of what would have been the 117th birthday of Martha Graham. Today’s Google Doodle is an animation created by Ryan Woodward. And I’ll let you have the fun of picking out Martha Graham in this early image from her Denishawn days, courtesy of the NYPL Digital Gallery. 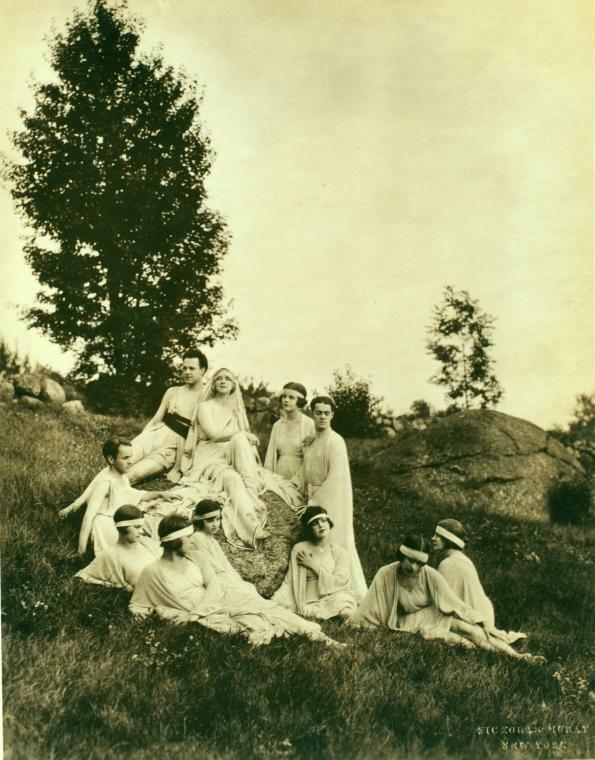 Denishawn dancers at Mariarden (1922).